The SDP operates to ensure all diving operations are conducted safely and efficiently, with safety being the primary focus, for the underwater research activities of the Smithsonian Institution. SDP is responsible for the Smithsonian Institution (SI) compliance with OSHA regulations, as well as development and adherence to SI Diving safety policy and procedures, for Smithsonian underwater research activities. Establish standards and implement procedures for conducting safe diving operations. Train and certify research scientists and technicians in diving and diving medical related subjects. Provide safe, state-of-the-art, and well maintained dive equipment. 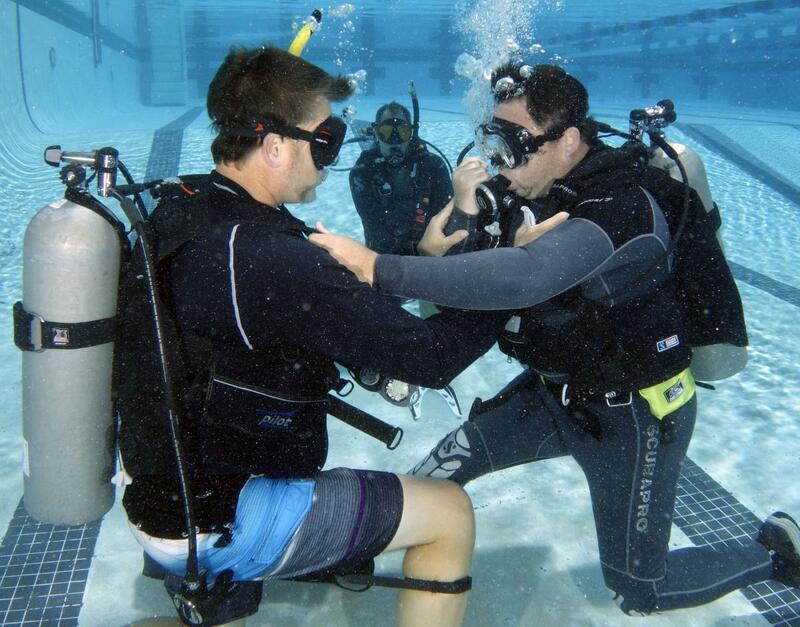 Provide guidance and expertise to the diving community. Investigate and implement new diving technologies and techniques. Foster cooperative working relationships with other diving programs. Promote the SI and the SDP through educational outreach. Provide equipment, personnel, and expertise in support of SI field operations, as needed. SI policy regarding diving activities conducted under its auspices can be found in the SI-SCIENTIFIC DIVING SAFETY MANUAL. See WHO WE ARE or CONTACT for more information. 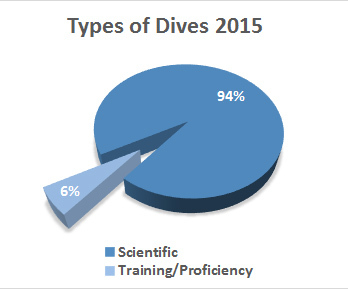 Over 100 SI Scientific Divers log approximately 2500 dives per year. Diving Officers Douglas R. Schleiger and Raul De Leon practice out-of-air/low-air rescue skills with Richard Quintero.